Mine?!? I spent Sunday visiting with my girlfriend from high school and my goddaughter. While I wait for an answer, let's move on to today's reason. 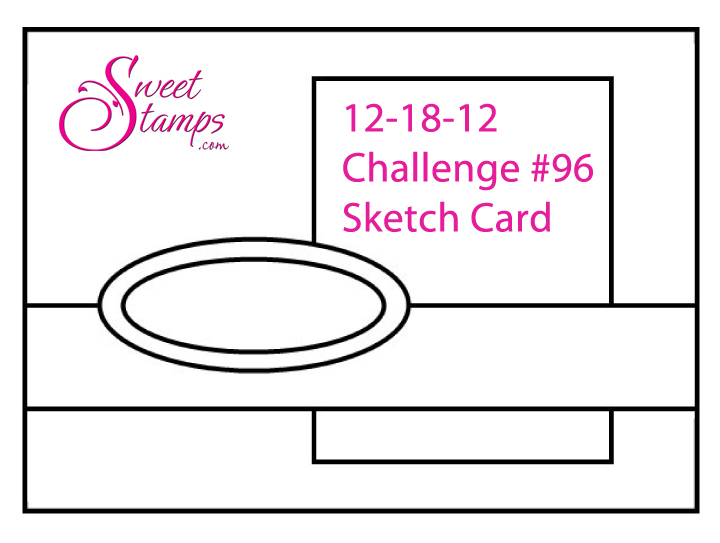 We have a new weekly challenge for you over at SweetStamps and a monthly challenge that just went up on Saturday. 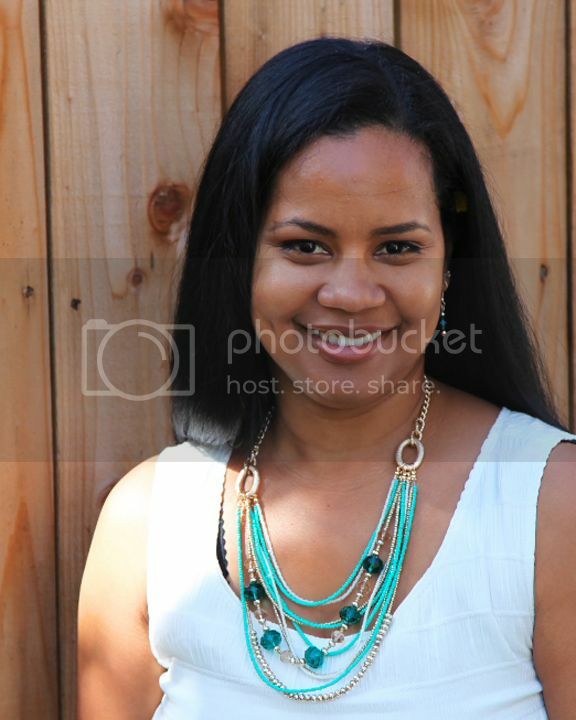 If you missed that post, click HERE. This weeks challenge is a sketch and I LOVE a good sketch. The sentiment is one one piece, but I cut it so that I can fit it onto the the oval die cut. I use to be afraid to cut my stamps, now...eh, it's no big deal. LOL The paper is from MME Lost & Found Christmas, that my blogging buddy Jen sent me. I love these papers and I am saving the scraps too! So I know that Christmas is quickly approaching, but I hope you still find to to get crafty and join us this week. we would love to see what you create using the sketch. Your Christmas card is quite delightful Calypso. Such a beautiful and elegant card. Your wreath is amazing. Love the crystals. Really nice take on the sketch. 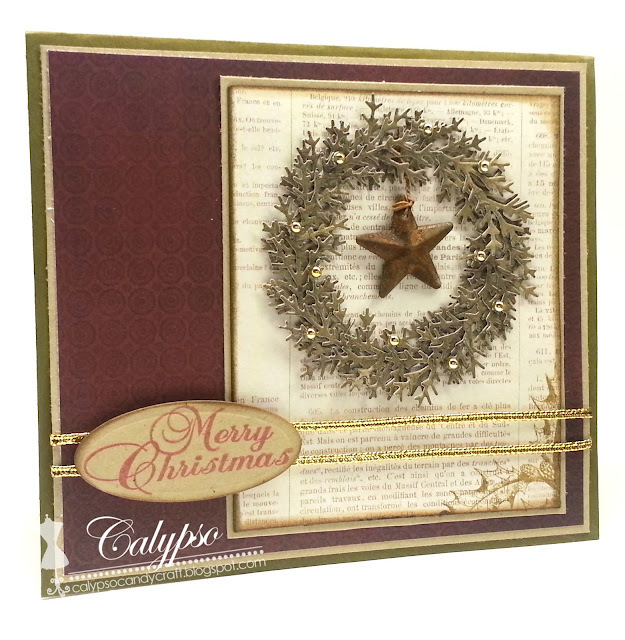 Thank you so very much for playing with us in Christmas Time Challenge at Stamptacular Sunday! So happy that you could join us this week. Oh gosh! This is so gorgeous! I love the wreath you created and the star is the perfect finishing touch. Lovely holiday card. Good luck and thanks for joining in on the fun at Cheery Lynn Designs challenge blog. Beautiful card!! LOVE the wreath you've created!! Wonderful holiday card! Thanks for joining the fun at Cheery Lynn. fabulous sketch and this is so beautiful. Thanks for playing with us over at Loves Rubberstamps!!! This is gorgeous! Love the wreath and the star! Thank you so much for playing along with us at Loves Rubberstamps this week! Lovely card! Thanks for sharing with us at Loves Rubberstamps!